Which Countries Have The Best Domestic Mail Service? Dec 26 • Business • 610 Views • Comments Off on Which Countries Have The Best Domestic Mail Service? 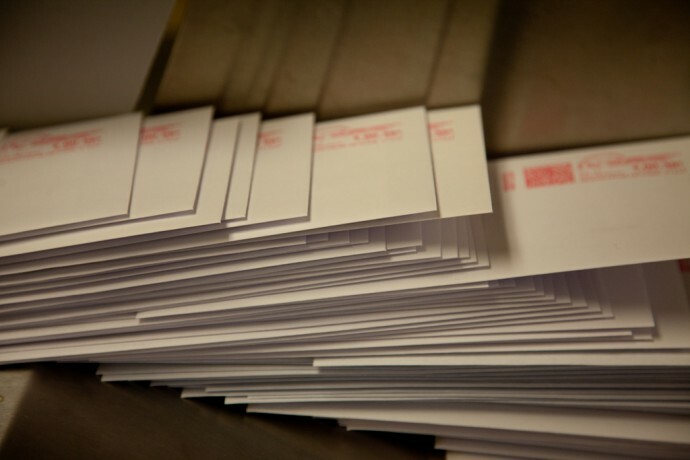 A lot of people seem to think that domestic mail service will soon come to an end. They like to cite claims stating that more email is delivered than “snail” mail, and the United States Postal Service (USPS) reportedly lost $16 billion in 2012. However, the USPS also processed 160 billion pieces if mail that year. Since packages, greeting cards, and other physical objects that can only be shipped and delivered via the postal service are sent out all the time, claims that mail delivery is coming to an end are greatly exaggerated. Domestic mail delivery may not be as ubiquitous as it once was, but billions of people all over the world still rely on it. That being said, what countries have the best domestic mail delivery system? Are there a select few that stand out, or are there no significant differences between countries as far as mail delivery is concerned? In 2011, the British firm Oxford Strategic Consulting sought to answer those questions with a report that ranked the postal services of several countries based on “provision of access to vital services,” “operational resource efficiency,” and “performance and public trust.” Let’s take a look at some of the countries that ranked as the best. As much as Americans like to complain about the lack of efficiency of their postal service, the USPS did rank as the best domestic mail delivery system in the world. The USPS accounts for roughly 40 percent of the world’s mail volume, and the agency has ranked as the most efficient in the world, especially with its increasingly limited resources. The only true disadvantage that the USPS has is that Congress appears to be reluctant to pass measures that would raise the agency’s budget and increase its efficiency. The USPS has lost billions of dollars in the last year, and the government’s response has been to end Saturday mail delivery. Japan Post often ranks as the top postal service in the world in terms of reliability and public trust in international surveys, and it has increased its number of post offices in recent years. Japan Post is also much more than just a postal service; it provides banking and insurance services and is the largest financial institution in the world, with assets of $3.3 trillion. Despite its success, Japan Post has faced a few setbacks over the years. A controversial bill was passed in 2005 that called for the privatization of the organization, and the 2011 earthquake damaged or destroyed as many as 330 Japanese post offices. Korea Post is noteworthy for its dedication to customer service and customer complaints. If a customer makes a complaint with the postal service, it is posted on the agency’s website for all to see. Employees also receive bonuses based on their customer service, and the agency routinely ranks as one of the country’s most popular institutions in consumer surveys. Korea Post has even followed Japan Post into other financial endeavors in recent years. Customers can now open savings accounts, purchase insurance products, and apply for credit cards at affordable prices and interest rates through Korea Post. In remote areas of the country, people can even purchase inexpensive train and airline tickets. Harold Christiansen is a freelance writer with expertise in the shipping industry, international business, transportation, the postal service and other areas. Harold recommends that business owners check out Hawthorne Global, a leader in business shipping. Image credit goes to EIU.